THATTA: The Sindh government, in collaboration with the local government and other donors, has launched different initiatives to facilitate tourists and visitors in the Makli, a hilly area with an ancient graveyard situated at some four kilometres from Thatta city. According to the historians, the graveyard of the Makli hill is one of the largest funerary sites in the world which spread over 12 square kilometres. The necropolis provides a unique view of an old civilisation. Because of its cultural and archeological importance, in the 1980s UNESCO listed the Makli necropolis as a world heritage site. The areas of this necropolis, Makli hill comprises about 35 monuments and contains four different schools of architecture and art made from stone to brick and glaze. Makli features several large funerary monuments belonging to royalty, various Sufi saints, and esteemed scholars. Recently, the Department of Culture, Tourism, and Antiquities has started the shuttle service for the tourists and visitors aimed to facilitate them during their visit and provide them full information regarding an old civilisation. 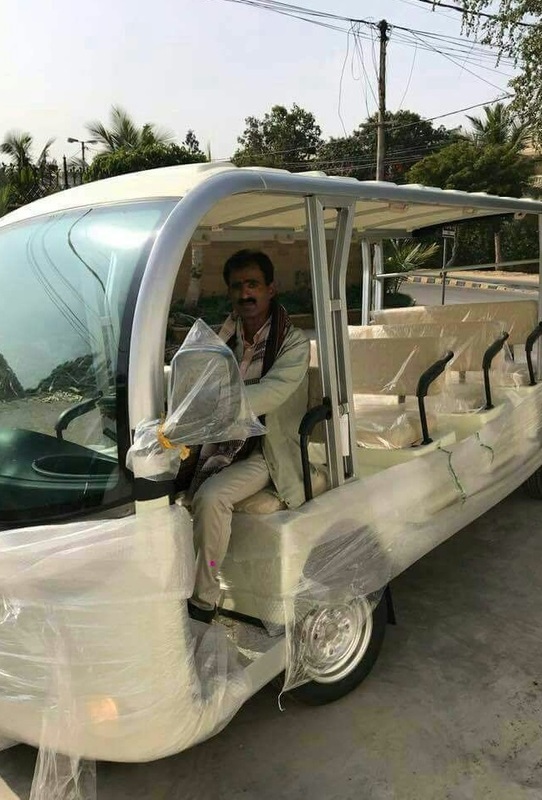 Minister for Culture and Tourism Syed Sardar Shah inaugurated this service – Makli Necropolis Shuttle Service. 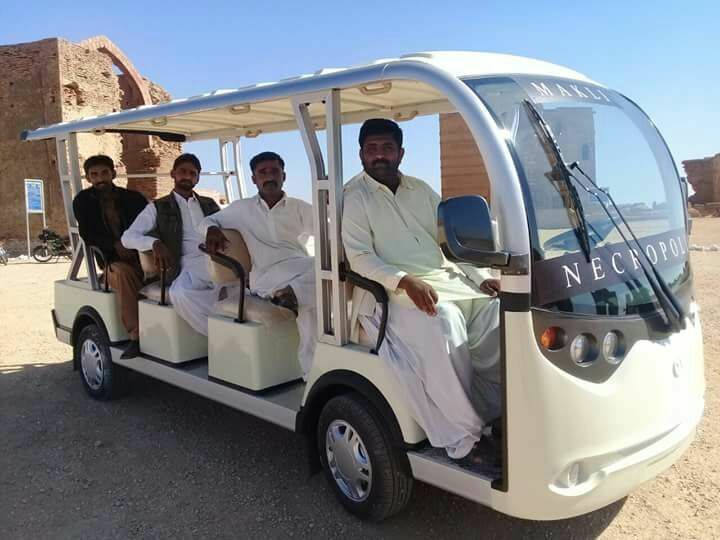 According to the minister, three shuttle coasters would initially facilitate the local and foreign tourists or visitors for a guided tour of the archaeological sites of Makli in the specified areas of the district and more shuttle coasters would be added very soon. It is pertinent to mention here that each of the shuttle coasters has a capacity of 10 passengers and the fare has been fixed at Rs100 per passenger, per tour and all private vehicles have been restricted and not be allowed into the area of any preserved historical site.